I can remember a time when my two children sat down to do homework, and both had to complete their “reading logs.” Two completely different children. Two completely different readers. One of them had a book in her hands since birth, excited by books, and constantly reading the longest of fiction books. One of them who took a little longer to read, but was also excited by books, non-fiction books about space, graphic novels, and how-to books. The one common thread among their reading experiences was their dislike for reading logs. While one of them wanted to read constantly, she did not want to take the time to write down what she read, because it took away time from actually reading! I would like to believe that reading logs were invented by someone with the best of intentions for a child just like my other daughter. We need to make sure that she is reading, but documenting it on a reading log became a struggle for both of us. There are days that she doesn’t want to read and that’s OK, as long as we still encourage her to read the books and other sources that she wants to read (newspapers or cereal boxes, anyone). Allow choice. Let students decide how they will demonstrate that they have read. They may want to journal, create a book website or just talk to a friend about the book they are reading. If you must, let the student know that they will need to demonstrate that they are reading, and let them figure out the way that it will be demonstrated. Take a Shelfie or create a #BookSnap! Students can take a picture of their latest reads and post online via social media or on a classroom bulletin board. Let the students share via pictures and connect with others around the powerful shared experience of reading. Create Book Trailers or Book Podcasts. Students can create trailers for their favorite books to preview them for classmates or other readers. Let their excitement about a particular book, magazine, or series come across in other forms of creation, like a podcast all about Harry Potter of the Diary of a Wimpy Kid series. Let students blog about reading. Guess what? The adults who are the most excited about reading books go online and share in the joy of books. They write about them. They seek out recommendations about similar books. They enjoy talking about what they are reading. Give students the same experience. Have students share responses and comment on peer blogs, make recommendations. You can even share with authors and invite them to read and comment. Go simple. Try a Book Blurb. Let students write a quick recommendation on a thought bubble, and post on a shelf along with the book. Start your day by asking students to talk for two minutes with a classmate about what they are reading. This one may be the best, but most controversial suggestion. 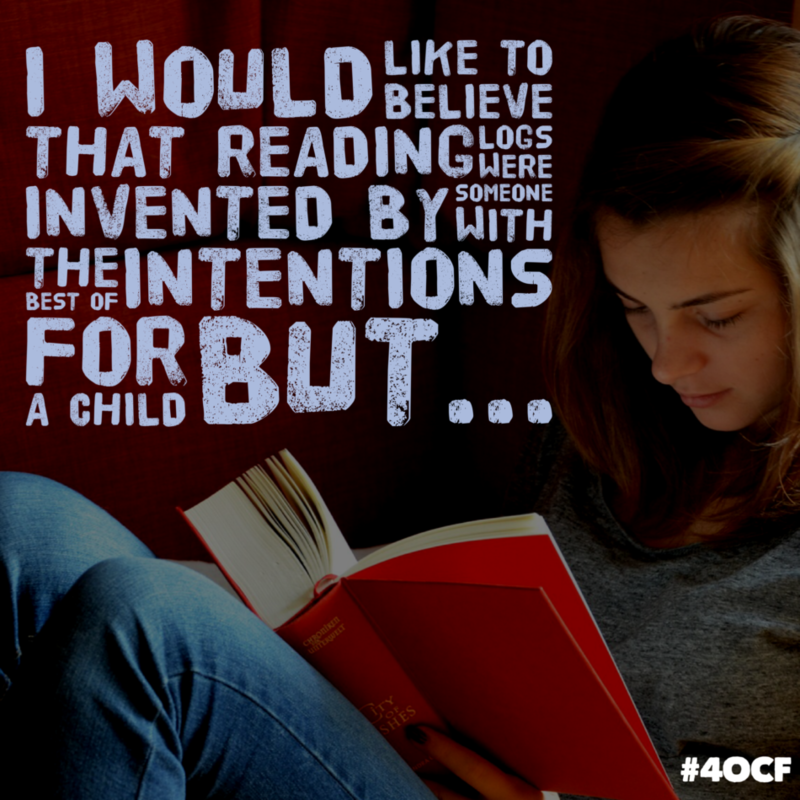 Simply let students enjoy reading. As an adult, when was the last time you documented how many pages of a book you read? You never have. You simply read because you enjoy what you are reading. Let’s let students experience that joy as well.